Fellow Oklahomans; 2017 was full of major changes, political news, and major accomplishments in Congress. 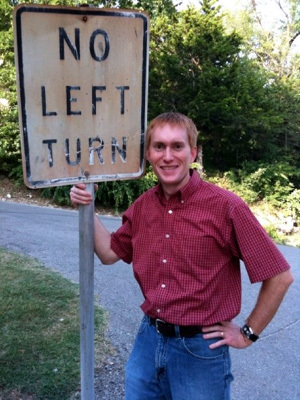 Senator James Lankford played a major part in a lot of it. There are many real issues facing our nation throughout the past year, we’ve made significant progress. President Trump nominated and the Senate confirmed Supreme Court Justice Neil Gorsuch. The Senate also confirmed 12 Circuit Court judges—the most in any president’s first year in office since the creation of Circuit Courts in 1891. These judicial confirmations set a positive direction for our nation’s courts for a generation. Congress also passed historic tax reform at the end of the year, a restructuring that is long overdue. 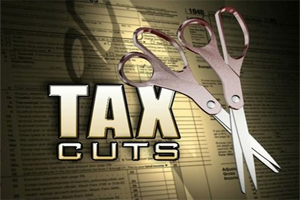 It has been 30 years since the United States has implemented significant tax reform. For the past four years, the House and Senate have conducted hearings and drafted proposals that led to a tax bill that reduces individual tax rates for all brackets, gives much-needed relief for small businesses, and lowers our tax rate to be competitive with the rest of the world. These cuts and reforms will provide much-needed relief to the American people, while jumpstarting economic growth and creating jobs. Although the unemployment rate has decreased to 4.1%, economic growth is still stagnant; tax reform should help our economy grow at a greater pace. In this tax bill, Congress also repealed the Obamacare individual mandate, a tax that punished the middle class. 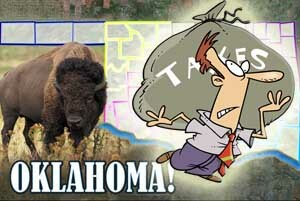 More than 81% of the people who paid the Obamacare penalty in Oklahoma make less than $50,000 a year, including many low-income Oklahoma families. Using the Congressional Review Act (CRA), Congress took major action on rolling back 15 major burdensome and onerous regulations—the most ever repealed under the CRA law. This is a major benefit for families and small businesses throughout Oklahoma who often end up paying the cost of complying with those regulations through a higher price for goods and services. Last year, we also led the way in defending our nation against threats around the world and here at home. The military had success against ISIS in the Middle East, and Congress passed major sanctions against the abusive regimes in Iran, North Korea, and Russia. The administration also recognized Jerusalem as Israel’s capital, a move that has long had bipartisan support. 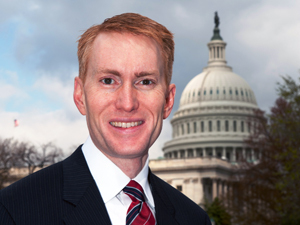 In 2017, Senator Lankford introduced and sponsored several pieces of important legislation that became law. He joined lead-sponsor Senator Jim Inhofe to introduce the Enhancing Veterans Care Act (S. 1266), which was signed by the President. This law will give VA Directors more managerial flexibility, including who they can hire and fire at VA Centers. This year, the President nominated and the Senate confirmed Scott Palk as a federal judge for the Western District of Oklahoma and Trent Shores and Brian Kuester as US Attorneys for Oklahoma—all nominees suggested by Senators Lankford and Inhofe. 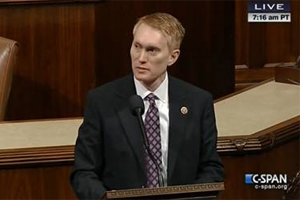 The Department of Justice adopted Lankford’s proposal to end the misuse of regulatory guidance directives, and the Department of Education adopted Lankford’s request to end the misuse of regulatory guidance directives for colleges. Lankford also sponsored H.J. Res 43, a CRA that reversed President Obama’s Health and Human Services Title X regulation to force states to fund Planned Parenthood and other abortion providers. 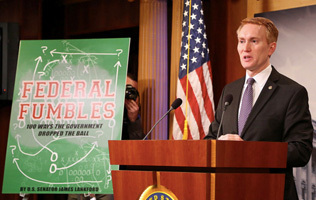 Senator Lankford also released his third annual government waste report entitled, “Federal Fumbles: 100 ways the government dropped the ball,” which identified $473.6 billion in wasteful and inefficient federal spending. 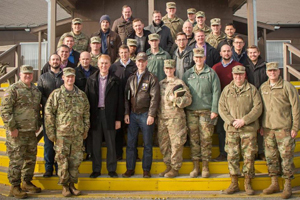 More importantly, Lankford was successful in eliminating government waste from previous years’ reports, like reforms for the Lifeline Program, also called the “free cell phone program,” and the Department of Justice slush fund, among many others. This entry was posted in National on January 3, 2018 by admin.